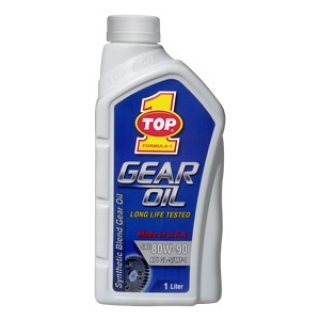 TOP 1 GEAR OIL contains extreme pressure additives to meet the requirements of API GL-5. This premium gear oil technology is formulated to provide excellent anti-wear, anti-scuff, and corrosion protection while withstanding severe temperatures and shock loading. The balanced formulation maintains viscosity protection in both high and low temperature conditions.